The world is nothing like we would have expected a few years ago. Donald Trump is the president — enough said. Overall, the 2016 presidential election seemed to usher controversy and chaos into the government. 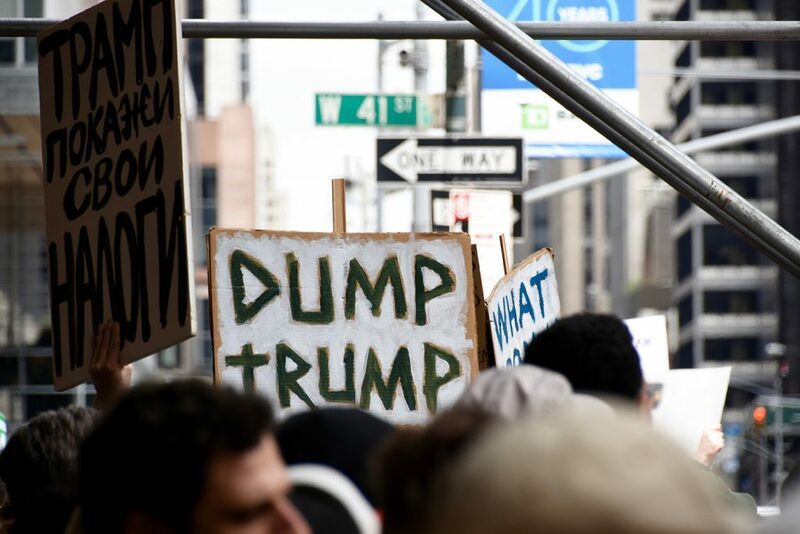 Everyone has their opinions surrounding the actions of the Trump administration, and it seems that now, more than ever, everyone wants their voices to be heard. One of the greatest powers that U.S. citizens possess is the ability to assemble, whether it is to support something they believe in, or protest something they don’t. There is power in coming together to create a collective voice that is loud enough to be heard. Connecting to people across the country has never been easier, thanks to, of course, the internet and social media. I realized that many protests or rallies are organized on Facebook. Although people may now avoid the site due to the recent security breach, it is a useful site for finding events happening close by. I came across an event page for a march organized to protest Trump’s recent visit to the Pennsylvania Convention Center. The march, called “Philly Dumps Trump: Get Trump out of our city,” occurred Oct. 2. Approximately 418 people attended the protest, according to its Facebook event page. Along with a combination of overall disapproval of the government’s actions, the powers of social media have influenced more people to show up for other protests and marches regarding national issues, like the Women’s March. It began in 2017, born out of a time of outrage against the current political climate. There are local marches throughout the year, but one of the biggest ones occurred in Washington D.C, where in 2017, the turnout was around 470,000, about three times that of Trump’s inauguration. “Women’s March is committed to dismantling systems of oppression through nonviolent resistance and building inclusive structures guided by self-determination, dignity and respect,” according to the march’s mission statement. All 470,000 people who marched that day unified because they all wanted their voices to be heard. This is just one of the countless examples of the power that we hold when we come together. Social media is a double-edged sword — millions of people have connected through it, but have also been polarized by it. It gives everyone a soapbox to announce whatever they want to the world, whether it’s a recipe, a selfie or a political opinion. It’s refreshing to see social media being used to bring people together, especially for a passionate cause. It may seem like everyone has differing views, but I encourage everyone to try to find their niche in a cause they believe in. There are people out there who think like you do and share your beliefs. If you have a Facebook account, check for any events happening nearby involving groups you would like to be a part of. Although it seems that politicians and the government ignore us, we have the ability to overpower them with our voices.